Yesterday, Apple announced Newsstand, a place to find an manage all your newspaper and magazine subscriptions on the iPad. It looks almost identical to the iBook store. But publishers need to stop locking their apps into an environment and a business model that no longer makes any sense. I'm talking about selling content as packages, and focusing on delivering daily, weekly or monthly issues. I am talking about being locked into a system that makes it hard for you to bring the same readers to other platforms. Like if a person decides that his next phone should be an Android, Windows Phone 7, or a Blackberry. I'm talking about not giving 30% away when you can get all 100% for yourself. And, I am talking about sharing. Not just that people can share content from you. But also to you. When someone decides to share an article on Twitter, you don't get to decide where their friends read it. It might be shared on an iPad or iPhone, but other people will read it on any device. 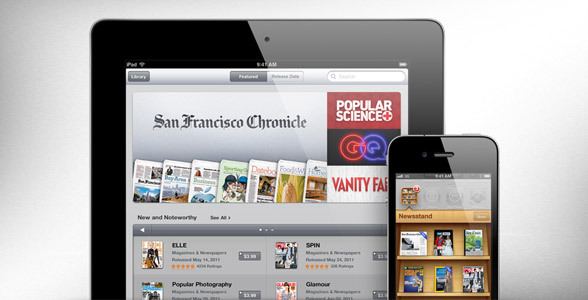 Apple says, "Newsstand automatically updates newspapers in the background - complete with the latest covers. It's kind of like having the paper delivered to your front door." Exactly. It is just like a printed newspaper and the print distribution models. This is the old world at work - complete with covers! The Apple Newsstand is an excuse for not changing. Apple is providing the newspaper owners with a solution that seems like progress, without having to change their business models or way of thinking. Sure the format is differently designed, and they need to add a bit of interactivity, but the concept is the same. Newspapers should stop thinking about creating packages for a prime-time market. Let us compare most iPad news apps to the TV industry. The TV industry is based on the concept of prime time. A period of time in which the majority of it's viewers are likely to watch TV. Prime time makes a lot of sense in the traditional TV world. In fact, it is the best thing that you can do in a mass market format. 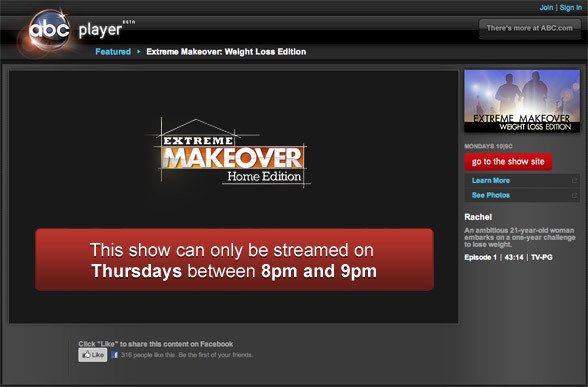 But look what happens when the same TV stations move online. Suddenly, the very concept of prime time is replaced by "most popular right now". You cannot do prime time in a connected world. It means asking people to wait when they want to watch something now. Imagine going to ABC's online player and be told that specific shows can only be watched during very specific time slots. It doesn't work. Prime time changes from being a tool for success, to a tool for utter failure. In the traditional world, you focus on prime-time. In a connected world, you focus on on-demand. It is exactly the same with newspapers. Morning newspapers focus on the prime-time of "when people just got out of bed", and dailies focus on "when people have a mid-day break". It is a publishing schedule based on mass-market prime-times. None of that works online. iPad news apps that only updates once per day completely miss the point. They are giving their readers old news if they check in during the day, and ask them to wait until the next morning to get anything fresh. They are putting themselves in the position of always providing the wrong news at the wrong time. And that is going to kill them. It doesn't matter how interactive the newspaper is, or how fancy it is designed. In a connected world, the mass-market is replaced by the quantity of individuals. Combined they make up a market, but they act independently at all times. Prime-time is right now... and now... and now. Or more to the point. Each individual reader decides when prime time is for him. It is when he has a moment to catch up with the latest content. You can either be a part of that by providing your readers with the latest content right at that moment. Or, you can go out of business because you are never there when your readers needed you.